Water Supply Specialist Ron Abramovich has been snowshoeing into the snow survey site at Mores Creek Summit for many years. Thursday after measuring and weighing the snow for water content, and doing some math, he says we're still well below average. That's the thirteenth lowest for this point in winter since 1961. Abramovich says only once in recent history have we fully recovered from that kind of deficit. "That was 2014 when we got all of the storms in the second half of winter," said Abramovich. So that's what we need. So we have some storms coming in this weekend and hopefully in the next week. But we need more beyond that too." Farmers are closely watching the snow pack as are many others. 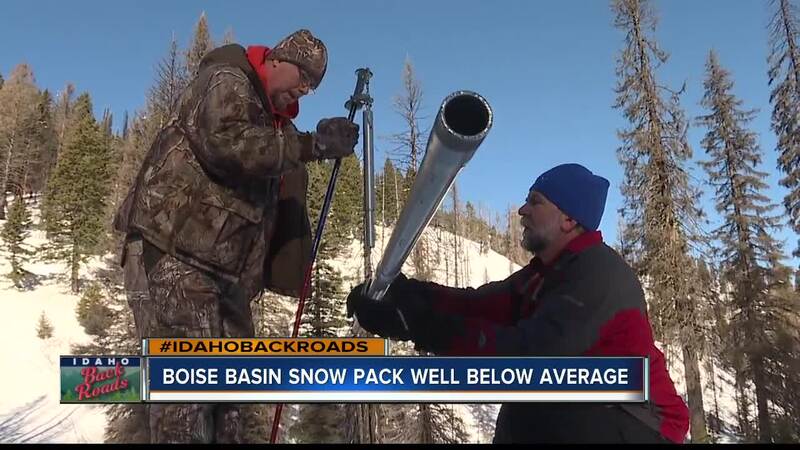 Next week on Idaho back roads Steve Liebenthal will take an in-depth look at the many other impacts idaho's low snow pack has from the mountains of Idaho all the way to the Pacific Ocean.